My friends occasionally ask me what they should do with the birthday cards I make for them. On receiving this card, my friend Caroline said, “It’s just too nice to toss out, but I don’t often save cards.” I told her that it was okay if she wanted to paste a sheet of paper over the message I’d written inside, and pass it along to someone else. That got me to thinking, should I make cards for people that are specially designed for “re-carding”? I have a friend who is an ardent environmentalist, and although she is too polite to say anything, I wouldn’t be surprised if she inwardly groans at the ‘waste’ in some of my multi-layered creations. So I decided to create a more environmentally friendly card, just for her. In this card, I made sure not to use any layers, just images stamped directly on the card base. 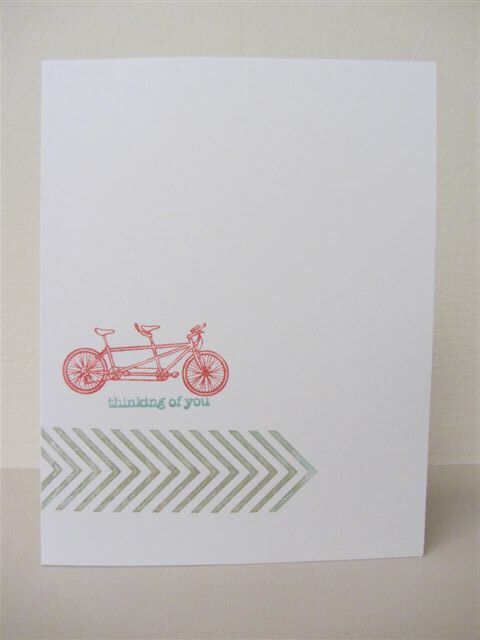 I used an image of an environmentally friendly bicycle built for two, and used a generic greeting that is appropriate for all sorts of occasions. There are a few flaws in the card – I forgot to clean my border stamp before re-inking it in a new colour (oops) and stamping on my base, but I decided to go with it instead of reaching for a new piece of cardstock. Good for me, right? My real innovation though, was on the inside. To make it easier to re-use the card, I made photo corners from scrap paper, and used them to hold down a stack of paper for writing personal messages on. 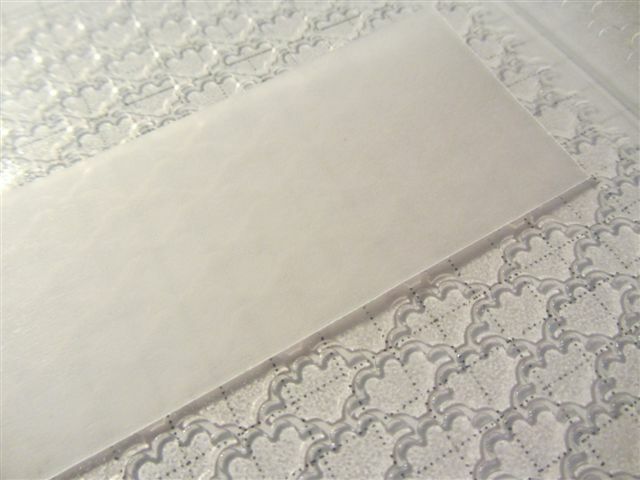 Each sheet of 4 1/4 x 2 3/4 paper can be removed by the recipient of the card, and the sheet underneath can be used for the next greeting. Here’s how I made the message pad. 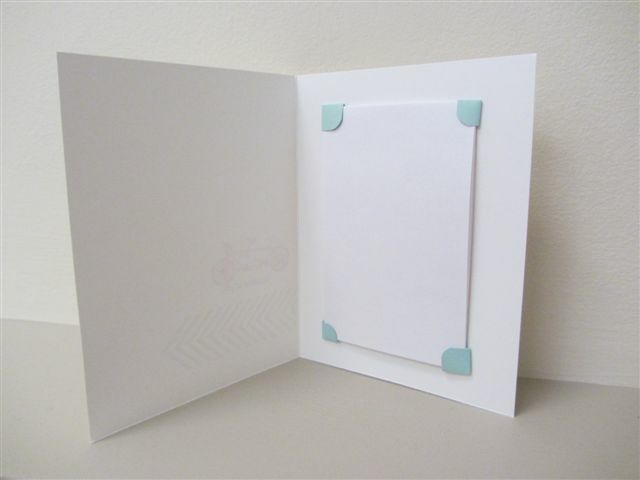 Punch four large photo corners out of card stock. 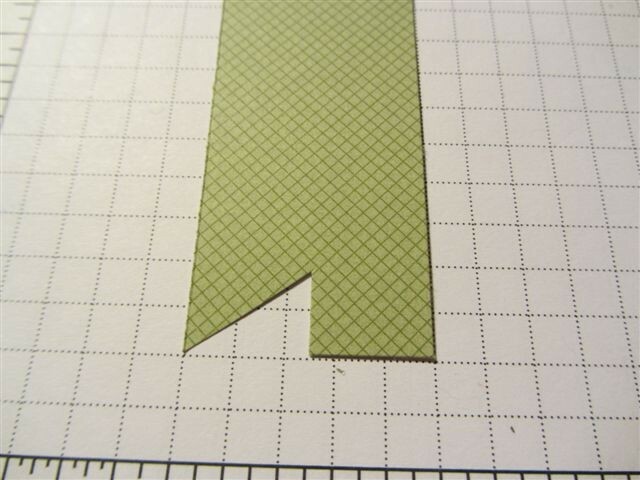 If desired, round the sharp corners with a corner rounder punch. 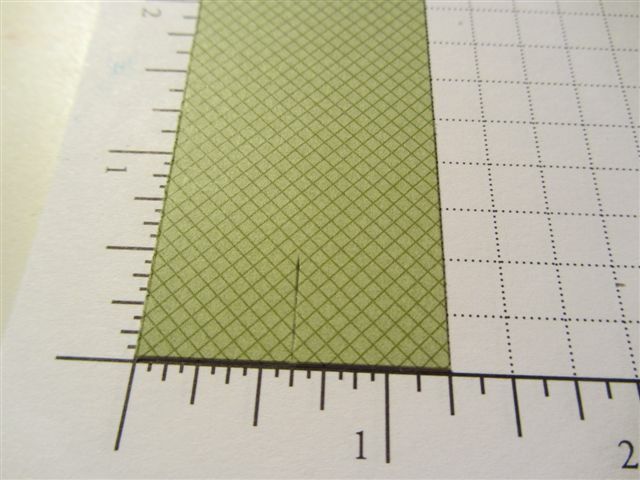 Using a ruler and a bone folder, score along each “arm” of the photo corners. Fold the “arms” under and behind the corner, to create a pocket. 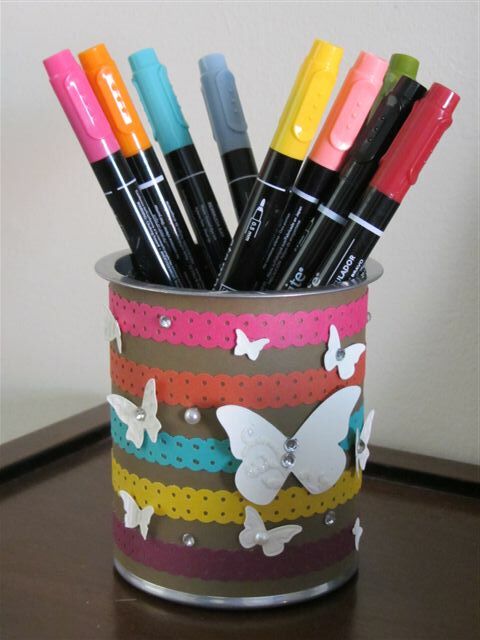 Use adhesive, such as a glue dot, between the two arms, and on the back of the pocket. Be sure NOT to adhere the arms to the top layer (front) of the pocket. Cut one piece of 8 1/2 x 11 printer paper into 8 pieces of 4 1/4 x 2 3/4 paper, and stack. 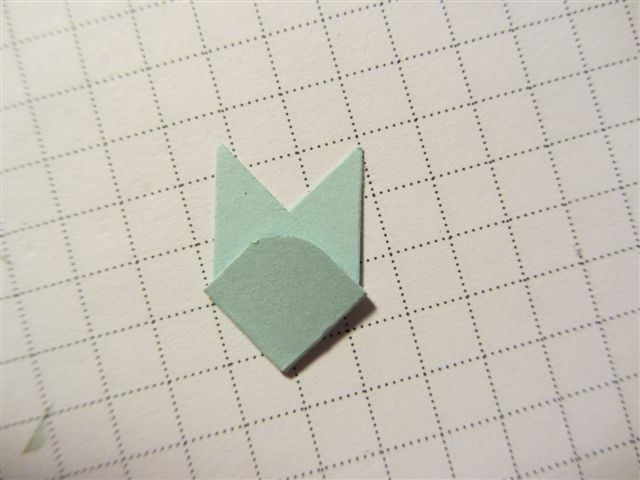 Use four completed pockets to hold down the stack of 4 1/4 x 2 3/4 papers. 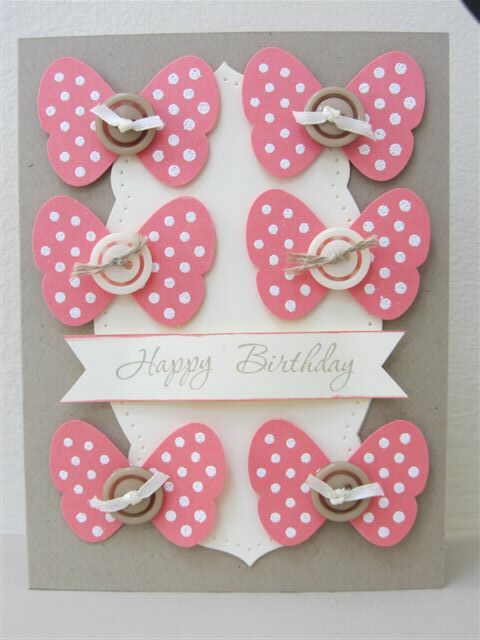 One of my goals for making this card was to try layering different patterns of paper. I love patterned paper, but I also find it a bit intimidating trying to match different designs and colors. Most of these papers came out of a single Simply Scrappin’ kit (long retired), so that made it a little bit easier. I also had in the back of my mind that I wanted to use pennants, because I think they lend well to layering different patterns. But I always have a problem with cutting the ends of pennants evenly. When I scrap, I usually eyeball a lot of things – don’t bother getting out the ruler to line up my layers for instance, or to center items on a card or a page. If things don’t quite line up, well, that just adds the personal touch that says “I made this”. But ( I feel like I’ve written a lot of “buts” on this page), that doesn’t cut it for pennants. 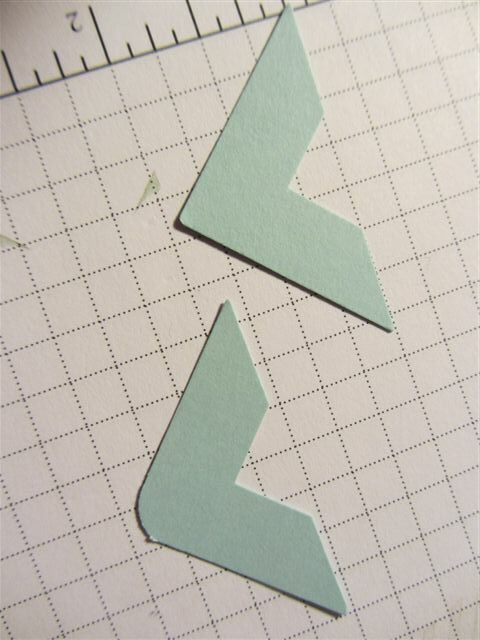 Whenever I’ve tried to eyeball the angle or the length of the cut-out on the bottom of a pennant, one of the pointy ends always ends up looking longer, or sharper or deeper than the other. And the end result is just plain wonky. So I came up with this method for cutting pennants. I’m still eyeballing a little, but it ends up a lot more even. 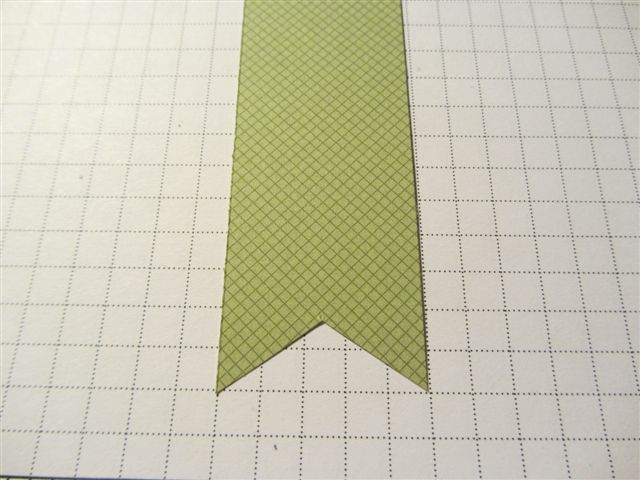 Cut a strip of patterned paper the width of your pennant. You probably want your paper strip to be longer than you want your pennant to be, so you have a little room to play with. 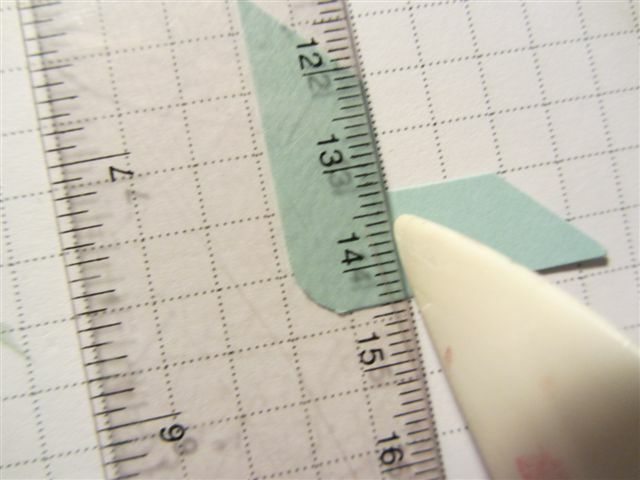 Using your paper-cutter, make a cut a little way up the middle of your paper strip. One half of 1 1/4 is 5/8, so that is where I made my cut. Don’t cut too far – just however deep you want the end of your pennant to be. Use scissors to trim from one corner to the top of the cut. Then do the other side. That’s it, you are done. Who knew? You can dry and wet emboss at the same time! I was so inspired by a treat bag I saw on the blog of the incredible Josee Smuck, that I had to try it right away. 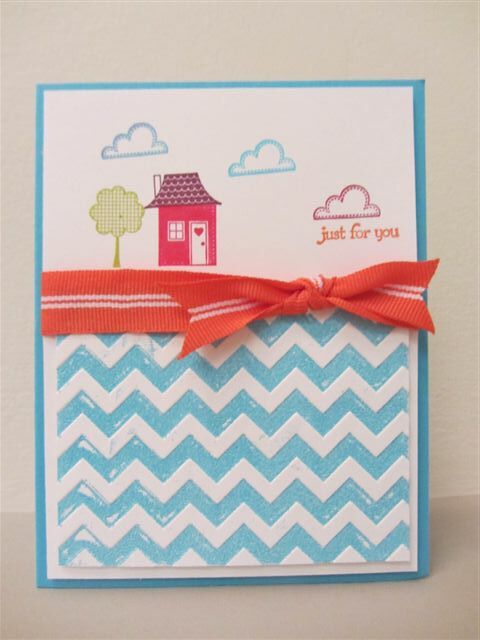 For this house-warming card, I used a turquoise embossing powder inside the Chevron embossing folder. Too cool! 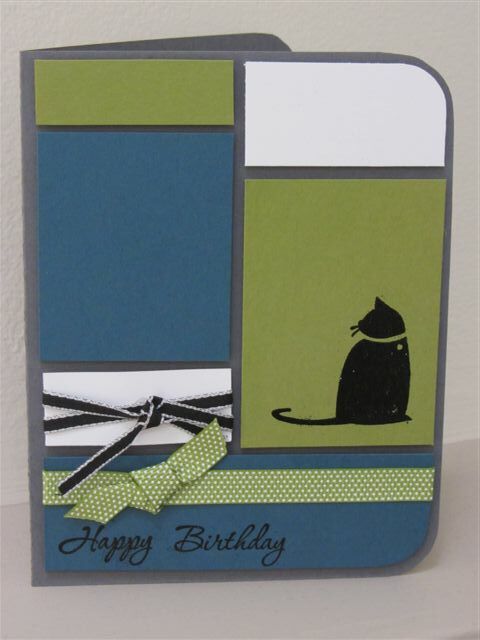 The end result has a bit of a distressed look, which I thought went well with the topsy-turvy house I stamped. (I almost always use clear mount stamps now; I’m a little rusty with the wood mounts I guess). 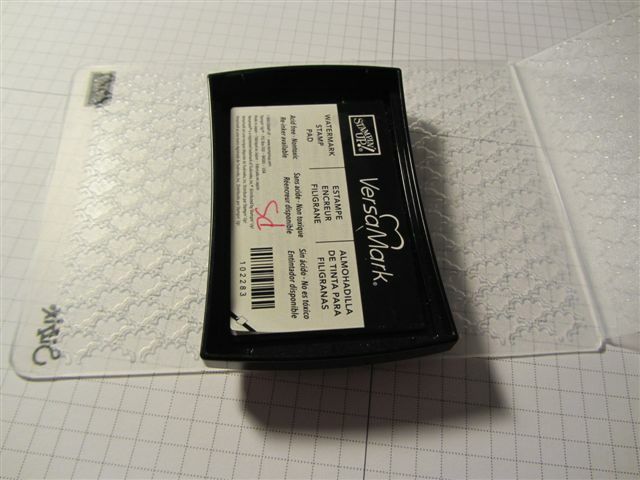 Ink up one side of your embossing folder with versamark ink. Place your paper in the folder (right side of paper to inked side of folder) and run it through the big shot. Coat paper with embossing powder, and heat set. 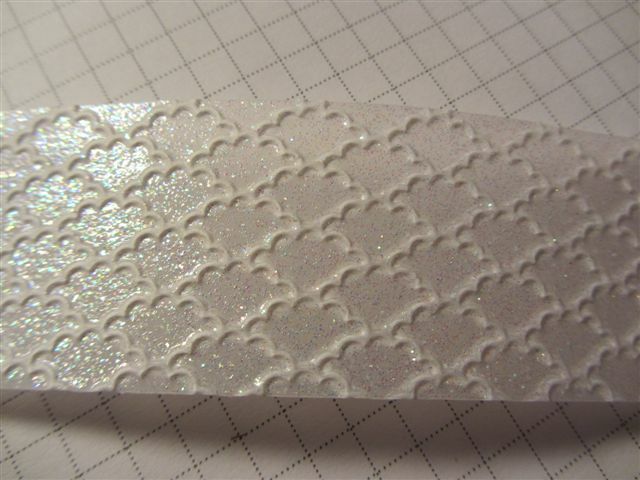 Don’t forget to clean your embossing folder. I just sprayed it with Stampin’ Mist, and wiped with a rag. Note: The photos used to illustrate this tutorial, are from my “Shameless” card posted last week. Okay, “Shameless!” is probably not the best way to start a post with a wedding card, but it refers to my design process, and not to the bride or groom. I have to admit, that almost no original thought of mine contributed to the design of this card. 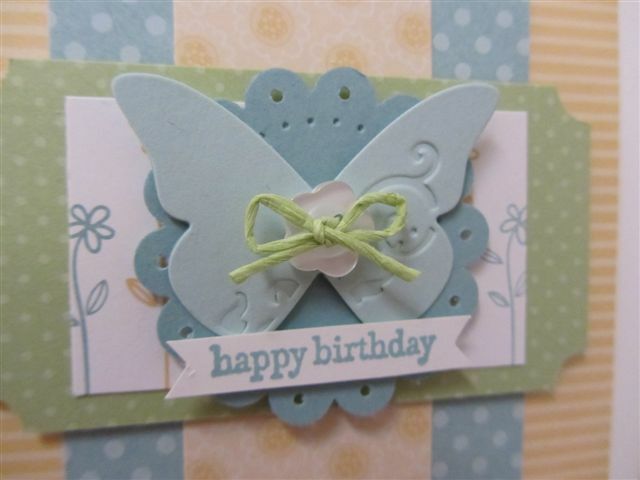 I was inspired by this card on SplitCoastStampers, and by this weeks colours on the PlayDateCafe. 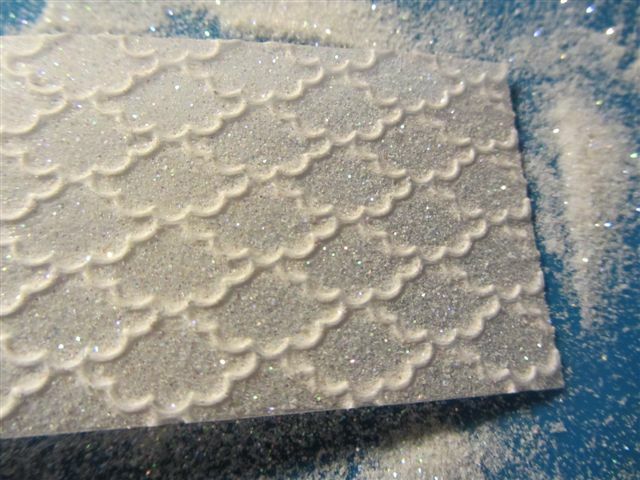 The double dry and wet embossing technique I used to fill the Fancy Fan Embossing Folder pattern with Iridescent Ice embossing powder was scraplifted from this post from the incredible Josee Smuck. All I did was bring it all together. p.s. I’ll be posting a tutorial on wet and dry embossing later this week! 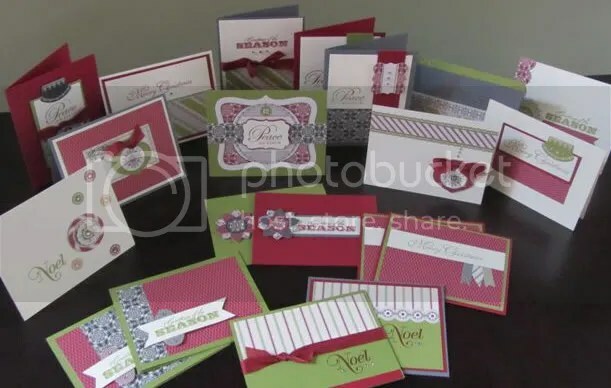 Make all of your Christmas cards in a single evening! This class by e-mail and demonstrator class planner provides full instructions for making 20 easy and beautiful cards using one-half of a Merry Moments Simply Scrappin’ kit. 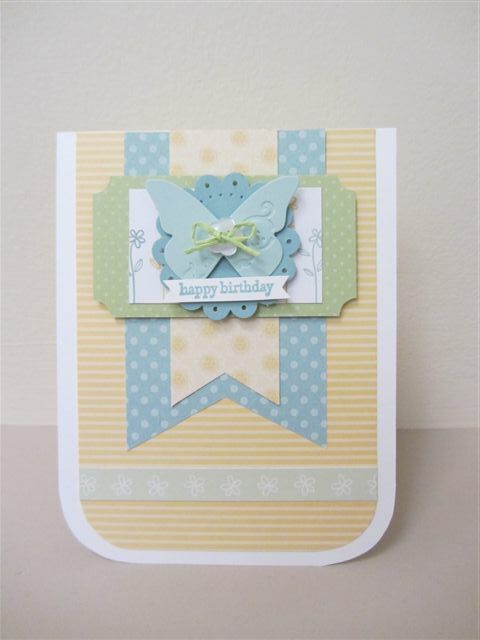 This tutorial does not include the supplies you need to create the cards. Please contact your Stampin’ Up! demonstrator to order supplies. Information for Stampin’ Up! Demonstrators here. Win a copy: Link to this blog post or to the PeonyPaperCrafts home page, then leave me a comment to tell me where your link is. On Friday September 21, I will randomly draw one winner to receive a copy of their choice of either the PaperCrafter class by e-mail or the Demonstror Class Planner. If you look back through my posts, you will definitely see a lot of butterflies, of different shapes and sizes. I guess everybody has their favorite go to images, and mine are butterflies. This is another card inspired by a CAS challenge on SplitCoastStampers from a few months back, which I am only now getting around to posting. With this card, I wanted to create a banner with a little more dimension than usual, so that it could hold its own against the busy butterflies. 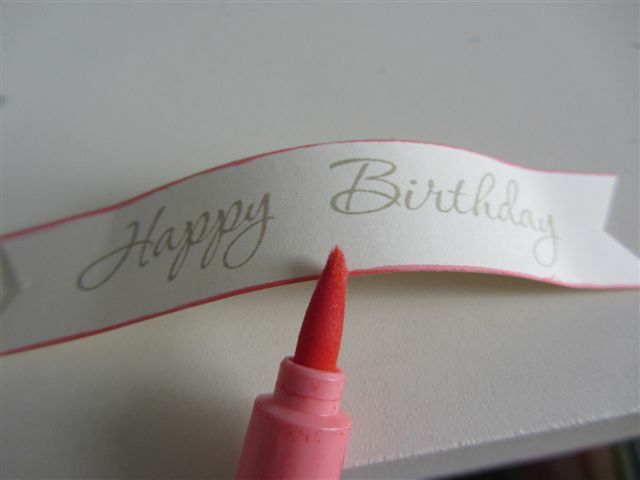 Cut a banner from cardstock and stamp with greeting. Grasp both ends of the banner, and gently run it over the hard corner of a table. 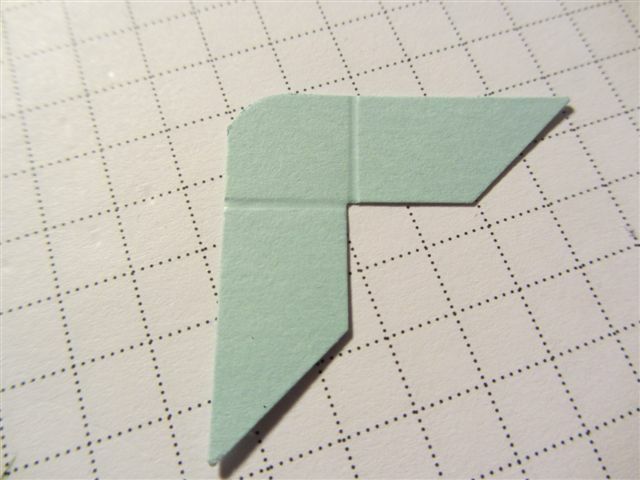 This creates a curve in the cardstock. Line the long edges of the banner with a marker. 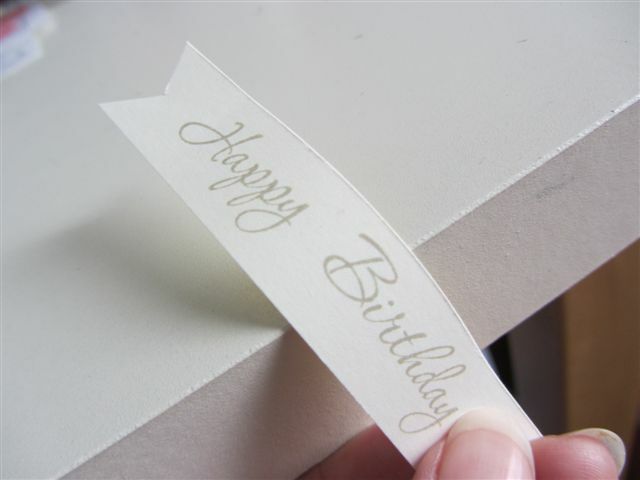 Secure ends of the banner to your card with a foam square or Stampin’ Dimensional. This card was inspired by a SplitCoastStampers CAS challenge from a few months back, but somehow I just never got around to posting the card. 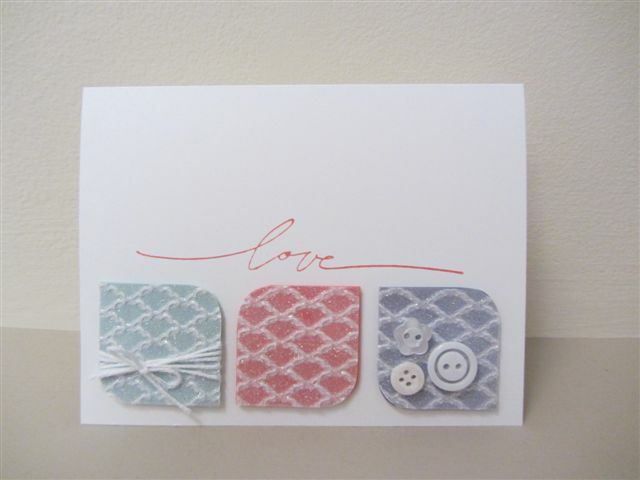 I love how the geometric squares in this card are softened by the ribbons, and by rounding off the corners. 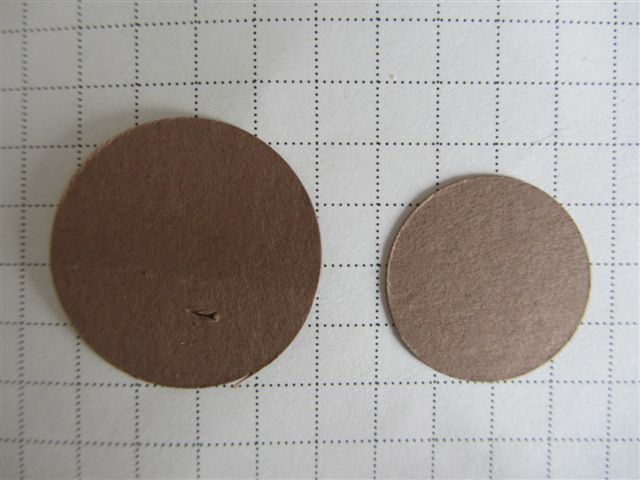 Punch or cut a circle from scrap cardstock. If you want to nest two corners – i.e. a smaller corner tucked inside a larger one – punch two circles of different sizes. Your border will be half the difference in the hight of the circles. In the photo below, there is a quarter of an inch difference in the hight of my circles, so my border is an eight of an inch. 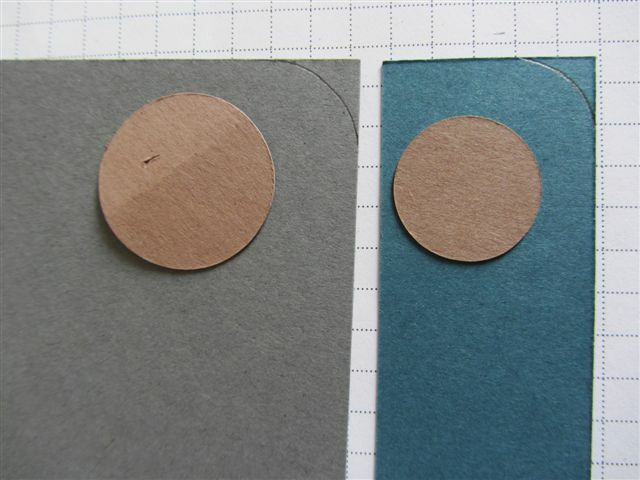 On the back side of your cardstock, line up your circles with the edges of the corner you want to cut, and trace around them. Fussy cut along the line with a pair of sharp scissors. Make 20 easy and beautiful Christmas Cards in one evening from 1/2 of a Merry Moments Simply Scrappin’ Kit.